Here is an embarrassment of riches, you just have to choose! Florence, considered all over the world as the capital of Renaissance, is also famous for its luxurious and panoramic surrounding hills. 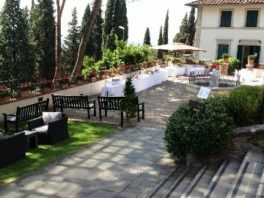 Among these, the most renowned is Fiesole, which has become the most requested residential area by the noble and influent families, for the rarity of its landscapes, its historical and cultural beauties and for the proximity to the centre of Florence. 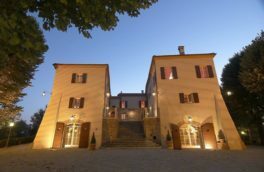 In this perfect frame FH Hotel Villa Fiesole is set, an exclusive 4 star boutique hotel that offer 32 quiet, elegant and finely designed rooms, most of them with unique view of Florence and is the perfect location for your cozy weddings. 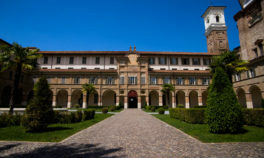 Founded by the Somascan Fathers in the 16th century in the historic centre of the town of Cherasco, near Alba and 30 minutes from Turin, the monastery still boasts its original splendor. The ancient complex has been tastefully turned into a beautiful modern resort offering the highest standards of comfort and services. 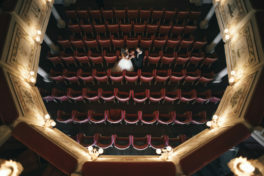 A wedding at ‘’Monastero di Cherasco’’ is like no other. Because to us, your wedding is the most important of them all. From the second your planning begins to the moment you walk in the ballroom you will be surrounded by the impeccable service and style that only ‘’Monastero di Cherasco’’ can offer. ... the perfect setting for moments that will be etched into your hearts!!! Class, taste and attention to detail: this is what we can offer for your big day. 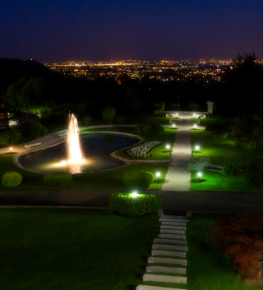 The location is equipped with big outdoor spaces and two different halls that can satisfy all requests by dedicating an area to each moment of the celebration, from the aperitif to the cutting of the cake. Civil marriages celebrated on-site have legal validity. Located in southern Tuscany, between Siena and Grosseto, among the Val d’Orcia, the Maremma countryside and the Tuscan coast, Cerinella offers a professional and tailor-made service focusing on quality of food and service and respect for customers and work. Cerinella’s cuisine starts from local high quality raw materials, traditional but with an original twist that sets them apart. The best meat, cheeses, extra virgin olive oil, wines and vegetables from local farmers. Cerinella will realize your reception in your style: country, rustic, elegant, classic, vintage… and can take care of the whole wedding weekend catering country dinners with Pizza, BBQ, Porchetta, Brunches and Pic-nics everywhere in Tuscany. Friuli Venezia Giulia is the ideal destination where to organize the perfect wedding thanks to all the services and facilities throughout its territory. It takes a very short time to reach art cities or cities overlooking the sea with suggestive castles and historical villages, a perfect mix with tradition and modernity. A journey that crosses fascinating land full of many different landscapes and exciting new experiences. The different identities of the territory have reached the table as well: plenty of tasty products not only on a plate, but also in a glass. The regional territory is a large wineyard lying between the mountains and the sea, a paradise where every year some of Europe’s best wines are produced. Why not choose an unusual region for your destination wedding in italy? Palazzo del Poggiano is a historical mansion located in the beautiful hills of Romagna, in the southern part of Emilia-Romagna region, famous for its great food and wines. From the 14th century the fortified castle of Poggiano, property of the Malatesta family of Rimini, overlooks the Marecchia Valley and its many villages, true medieval gems. Time seems to have stood still here, and although fully restored, every room and every piece of furniture conserves all the fascination of bygone ages. Today, this time-honoured residence surrounded by its centuries-old park offers a romantic and intimate setting for your wedding: in summer, the park and the courtyard can be used for aperitifs and dinners beneath the stars, while the indoor spaces ensure a warm and welcoming atmosphere for receptions throughout the rest of the year. Every corner of the palace and the garden and the fields all around can become the ideal backdrop to immortalize an emotion, so this place full of charme will also be a great location for your wedding photo session. The most difficult choice for young brides and grooms is where to hold the wedding reception. It must be good enough for Mum and Dad and for the in-laws; it must meet the high standards of granny, who needs a place that is easy to reach and that, if possible, reminds her of her own youth. It is also necessary to find suitable accommodations before and after the event itself for the uncle from America and his family. Then one must keep in mind that the groom’s friends like country music, Nordic cuisine, parties by the pool, and each of them has 3 children that must be kept entertained… To sum it up, it is simply not possible to please everyone! In Planetaria Hotels we make it a point to try to make your choice a little easier. We have options for all tastes! 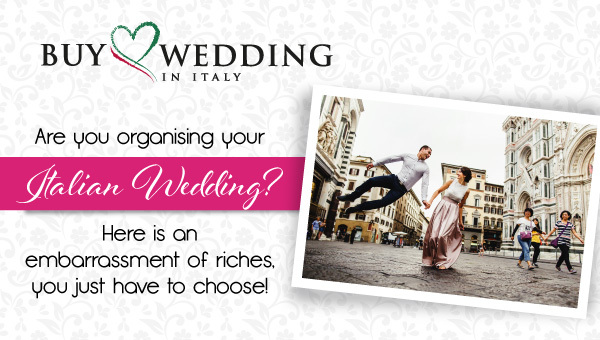 Our weddings in Milan, Florence and Genoa truly are the mirror through which bride and groom can look at themselves and meditate on what their personalities actually desires. Born in Naples but adopted by Apulia, I live just two steps off the wonderful Gargano. 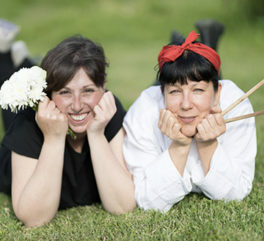 I am a happy wife and mom of two guys who conjugated family and passion for wedding planning. My main focus is on planning great weddings or events: from private parties to weddings, from inaugurations of new stores to parades, there is nothing left to accident in my event planning and coordination. My unique value proposition is to completely understand the dreams of the bride and groom and make them real. Are you dreaming of finding an exotic and chic location in the Mediterranean sea, with jaw-dropping scenery and divine food and wine? Discover our one-of-a-kind location in Sardinia- with so much beauty concentrated in such a unique place that weddings become fairy-tales . We are currently waiving our exclusive venue rental fee for all weddings booked by 31 January. Contact us for details! 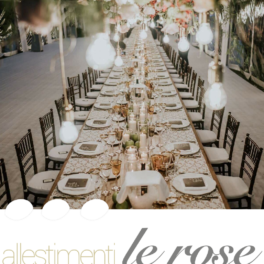 Allestimenti Le Rose has been active since 1993 in the field catering and banqueting equipment hire and set-up, tensile structures, gazebos and light fixtures. The company offers consulting and assistance for all kinds of events, ceremonies, gala evenings, fashion shows, congresses and meetings. The company offers a wide range of services and equipment combined with expertise, reliability and professionalism made available to customers to ensure an all-round success of the event.